How to Prevent Depression? Strike at the Source! If you’re living with depression, “How to prevent depression?” is the question of the ages. Well, you can’t pull that off without knowing the source. Newsflash! Scientists have found it. You awoke one morning in gastrointestinal misery. So you crawled to the medicine cabinet – avoiding any glance at the toilet – and found something that looked as though it might provide relief. You didn’t know the specifics of what it was or how it worked. For that matter, you didn’t know the source of your misery. Nonetheless, you opened the bottle and down the hatch it went. Lucky you – it did the trick. Sadly, isn’t that how it is with remedies for the emotional/mental health disorders? We most often take whatever it is, prescribed or over-the-counter, that’s said to work – even though the scientists that came up with it have no clue as to why. If we’re lucky, we hit paydirt (still, what’s the negative fallout?). Not so fortuante? On to the next experiment. Pretty doggone frustrating, isn’t it?! So here’s the “Duh!” observation of the year. Scientists need to discover the root cause – the source – of the emotional/mental heatlh disorders – and come up with interventions in-kind to effectively treat them. Led by Dr. Christoph Anacker, researchers at King’s College London’s Institute of Psychiatry just discovered the key molecular highway to depression. The fascintating and very hopeful news was published in the journal Neuropsychopharmacology. The highway even has a name – the hedgehog pathway. And it regulates how stress hormones, typically elevated during episodes of depression and stress, reduce brain cell quantity. Now, doesn’t it make sense that depression could be caused by an inability of the brain to generate new (replacement) neurons? By the way, the amazing process at play here is called neurogenesis. Okay, recent research has confirmed it. Thing is, though, no one knew the key pathway involved with anything having to do with neurogenesis. Until now. Dr. Anacker and team studied human stem cells – the very source of new brain cells. Their mission was to investigate the impact of stress hormones on their development. Again, it’s known that stress hormones – the biggie being cortisol – are typically elevated during episodes of depression and stress. In their lab work, the team discovered that stem cells were damaged by high concentrations of cortisol. In-turn, quantities of newbie brain cells were reduced. Enter the hedgehog pathway. The team went on to confirm that exposure to stress actually inhibited its work. 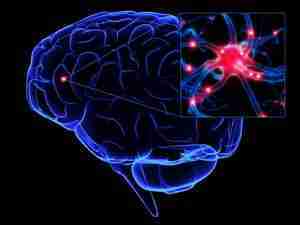 So it’s this signalling mechanism that’s responsible for all things neurogenesis. Wow! Okay, so to test their findings the team used a compound known as purmorphamine – a known stimulant of the hedgehog pathway. The result? The impact of the damaging effects of stress hormones was reversed. And that normalized the production of new brain cells – neurogenesis. By decreasing the number of new-born cells in the human brain, stress hormones damage many important brain functions and may contribute to the development of depression after a period of chronic stress. By inhibiting the Hedgehog signalling pathway, stress hormones reduce the development of immature “stem” cells into mature “brain” cells. With as much as half of all depressed patients failing to improve with currently available treatments, developing new, more effective antidepressants still remains a great challenge, which makes it crucial to identify new potential mechanisms to target. The discovery of antidepressants has so far been mainly by serendipity. Developing a drug with a defined effect on the brain, such as increasing the number of new-born brain cells, and with a clear target, such as Hedgehog signalling, will allow us to develop much more specific antidepressants in the future. Can you imagine a day when taking a medication for an emotional/mental health disorder is a “slam-dunk,” because it directly addresses the true source? Well, it’s research like Dr. Anacker’s that will get us there. Take heart in knowing impactful research is taking place. Sure, I know the availability of indicated medical interventions will take a good deal of time. However, there’s at least some comfort in knowing that helping us get better is at the top of someone’s priority list. If you’re living with depression, “How to prevent depression?” is most likely all you think about. The answers are coming, okay? Thanks to sciencedaily.com for the resource material. Next Post: The Future of Overcoming Depression | GLYX-13?